What is the world’s largest living organism? Could it be the blue whale? It’s certainly a big animal, the largest to ever live on Earth. They grow to an average length of twenty-five meters and weight of 110 tonnes. The biggest blue whale ever measured was a female of twenty-nine meters and 158 tonnes. They have hearts the size of a small car, weighing 450 kilograms. They need a big heart to move their six or seven tonnes of blood. Blue whales are also the world’s loudest animals. If you’ve ever heard a big jet taking off, that’s quiet compared to the call of a blue whale. They can be heard hundreds, even thousands of kilometers away in the ocean. 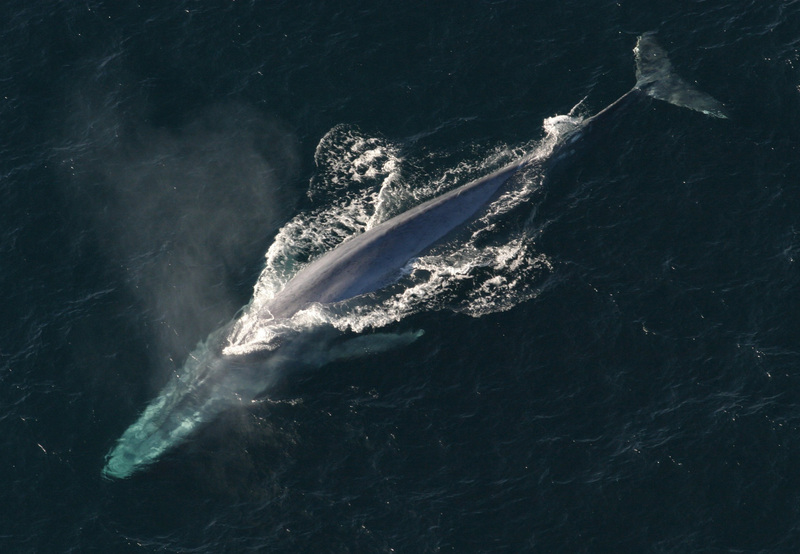 Blue whales are loud and they’re big, but they’re not the biggest living organism. Could it be the giant sequoia tree? Although it’s not the world’s tallest tree – the redwood, Douglas fir and Australian mountain gum tree all have taller specimens – the giant sequoia is thicker. While none of the others exceeds seven meters in diameter, the sequoia can exceed ten. Even so, it’s beaten out by a Mexican cypress tree which reaches eleven meters in diameter. But that tree is less than half the height. All in all the sequoia is the biggest. The giant sequoia is much larger than the blue whale. It’s over three times the length and almost ten times the weight. Fortunately it only makes normal tree noises. And it’s not the largest organism. There’s another tree which is bigger. We just have to redefine what we mean by “tree.” An aspen grove might look like a collection of trees, but it’s really a collection of stems growing from a single plant. Genetic samples show that all the aspens are identical clones arising from a single organism. The grove is the tree. A quaking aspen in Utah has formed a grove covering eighty hectares (200 acres) and scientists calculate that the organism, mostly underground, weighs six thousand tonnes. That’s considerably heavier than even a giant sequoia. But the aspen grove is still not the largest organism. The largest living organism ever found is neither a plant nor an animal. It’s a fungus. It’s affectionately known as the humongous fungus. A specimen found in Oregon covers almost ten square kilometers, is estimated to be as much as 8,500 years old and could weigh over ten thousand tonnes. That’s almost a hundred blue whales. Its visible parts are the mushrooms, commonly called honey mushrooms. As with the aspen, most of it is underground. With the world’s largest living organism, there’s more than meets the eye. This entry was posted in Uncategorized and tagged records, size. Bookmark the permalink. One specimen in Oregon. .. Are there others? 8500 yrs old! How is that measured? What is the scientific name of this humongous fungus among us? (COULDN’T help it). And how was it found? On another note: how is your fence? All fixed? I’m not sure how they estimate the age. Maybe size divided by known growth rate? There are others. Googling humongous fungus and/or honey mushroom will lead you to hours of time-wasting exploration.-) The scientific name of the honey mushroom is Armillaria mellea. They found one of these big guys by taking samples from widely separated patches and checking them for how closely their DNA was related. They were surprised to find it was the same individual. OK; notes taken. Research on the way. Roof and deck…. No rest for the weary, hey? Should keep you out of trouble for a spell !